It’s always a big mind-boggling to me when I share a new resource on corporal punishment – either at school or at home. 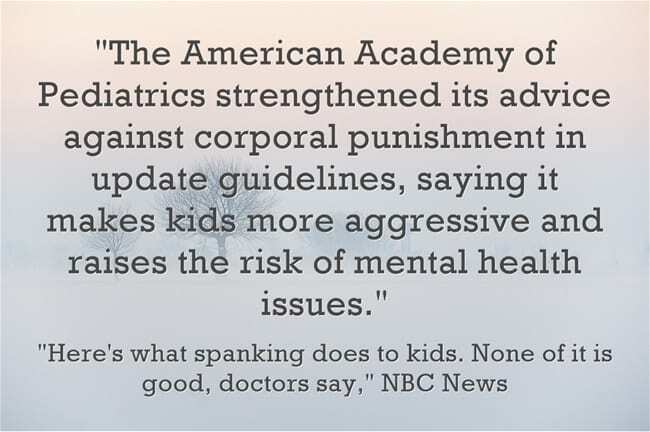 Here’s what spanking does to kids. None of it is good, doctors say. is an NBC News article about a new report by the The American Academy of Pediatrics. Schools, black children, and corporal punishment is from Brookings. I’m adding this info to The Best Posts, Articles & Videos Explaining Why Punishment Is Often Not The Best Classroom Strategy.